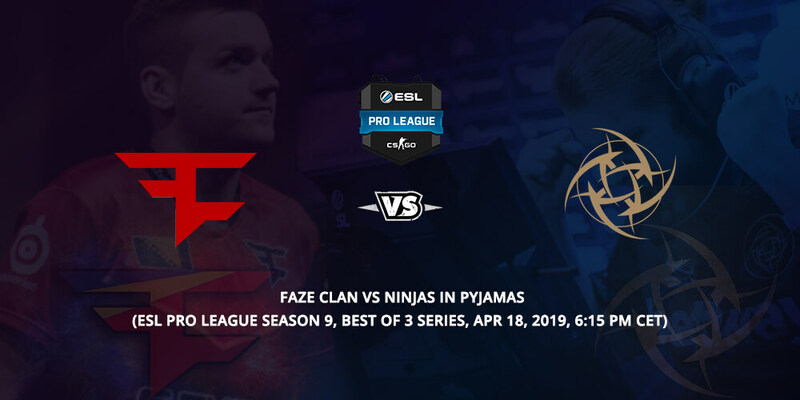 Our professional team prepared a FaZe vs NiP Betting Tips for you! Check details of both teams to better choose the winner! After the BLAST Pro Series, Miami, the community of CS: GO welcomes another competition. The successful teams in the world will fight for Supremacy in the ESL Pro League Season 9. It’s one of the most prestigious competitions in CS: GO and continue to attract a huge audience. At the moment 16 teams are fighting for the top spots in their respective groups. The top two teams in each group will qualify for the final. While the third and fourth ranked teams will have to compete in round two. In the 2nd round, all the teams that finished at the third and fourth place will be distributed into two groups of four. 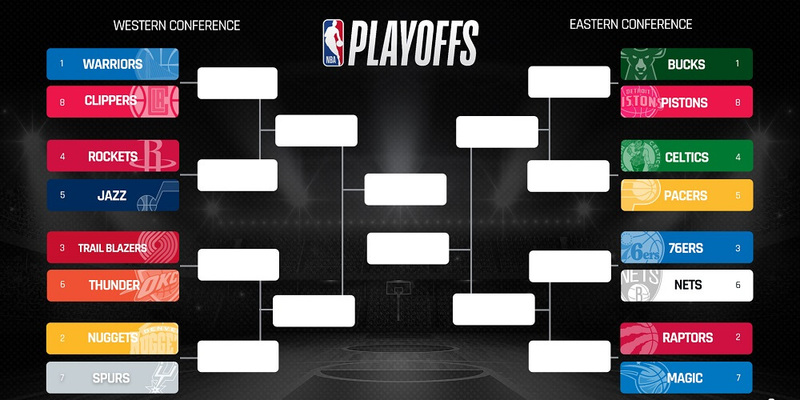 The top two teams in each group from the 2nd round will qualify for the finals. Just three days ago, FaZe Clan became the champion of the BLAST Pro Series, Miami. The European side won the competition after beating the 3rd best team in the world, Team Liquid. After their triumph, the side not only won the lion’s share of the $ 250,000 prize pool, they also pocketed 10 BLAST points for the Global FInal that will take place at the end of 2019. The EU side didn’t have the best of starts as they started with a defeat against Liquid. After the defeat, FaZe was expected to be the first team to get eliminated. Yet, in their second game against MIBR, they redeemed themselves with a 1-1 a draw. At the end of the Day 1, FaZe was nowhere near to secure a spot for the final. However, the fortunes of the team changed with the start of the 2nd day, as they came out all guns blazing. They started the day by defeating the new lineup of Cloud 9 with a strong 16-7 scoreline. Then, they beat the StarSeries Season 7 Champions, Natus Vincere 16-10. After the victory, the analysts started to believe that FaZe could pass its biggest test of the competition. It was the game against the No.1 team in the world, Astralis. Astralis had its fair share of troubles in the competition and the European side capitalized on it. The match took place on Dust II and it was an exhibition of brutal dominance. FaZe ended the meeting with its best performance in Miami, winning 16-5. This victory was enough for the team to qualify for the final. In the final, the team faced off against Liquid, the same side that defeated FaZe on the first day. Yet the story of the series was completely opposite. The first match took place on Mirage where FaZe won 16-5. In the 2nd game on Dust II, Håvard “rain” Nygaard played the game of his life. In the first half, he ended with 20 kills to zero deaths. After the break, Liquid found its way back in the meeting, by securing 12 round wins. Yet it was not enough against FaZe who won the final 16-12. The in-game leader of the team, NiKo won the MVP title of the competition. This is a great result for FaZe since a few weeks ago, they were eliminated in the first phase of the StarSeries. But the big question is that: Can FaZe replicate this form in the future tournaments? At the moment, no one is quite sure. Since their lineup is brilliant on paper, but the lack of chemistry of the team continues to haunt them. In the BLAST Pro series, they played with an exceptional coordinated strategy. We would love to see them continue this form in the upcoming competitions. In 2019, NiP has proven to be a very unpredictable team. They finished at 5th place at Intel Extreme Masters XIII – Katowice Major 2019. The team then secured 4th spot in BLAST Pro Series: São Paulo 2019. With these decent performances, the side was expected to perform well in the StarSeries. Yet they were surprisingly beaten by Renegades. 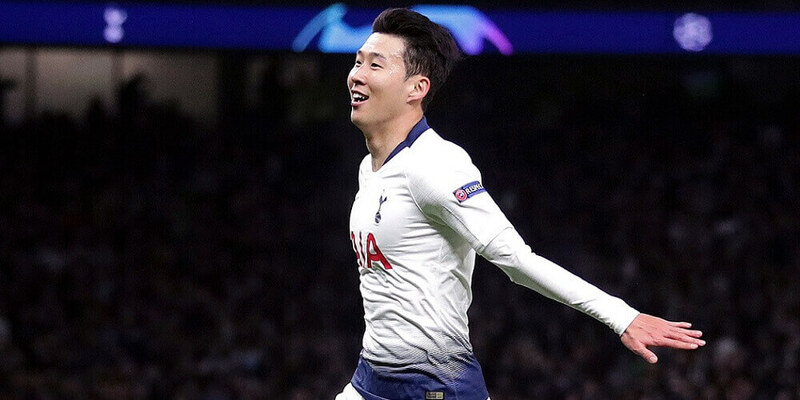 After this disappointing result, the made a surprising announcement! Dennis “Dennis” Edman is back in the Counter-Strike: Global Offensive team of Ninjas in Pyjamas. The player stepped away from the competition for about a month to rest and take care of his health. He was replaced by William “draken” Sundin. Now he’s back to compete for the side in the ESL Pro League. With him back on the team, NiP will be aiming to end the competition on a high note. But, we believe that they will have a hard time against FaZe and should close the meeting. 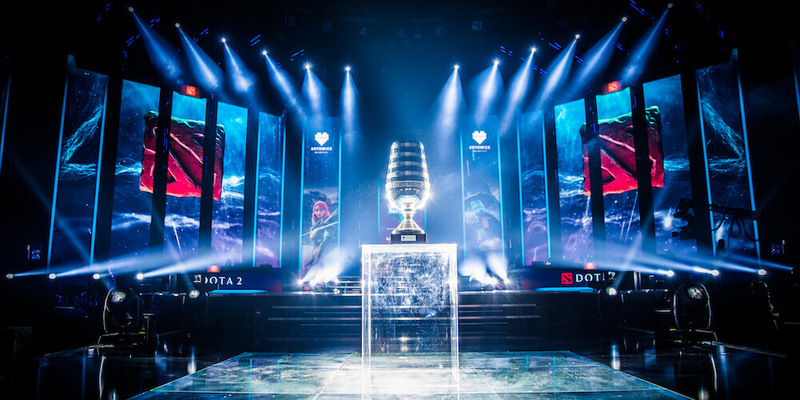 ESL One Birmingham 2019 all teams have been revealed. Check out which are the favorites and underdogs of the upcoming event! 2. Create your GG.bet sportsbook account. 3. Deposit €10 or more into your account. 4. 14 times wagering requirement applies. 3. 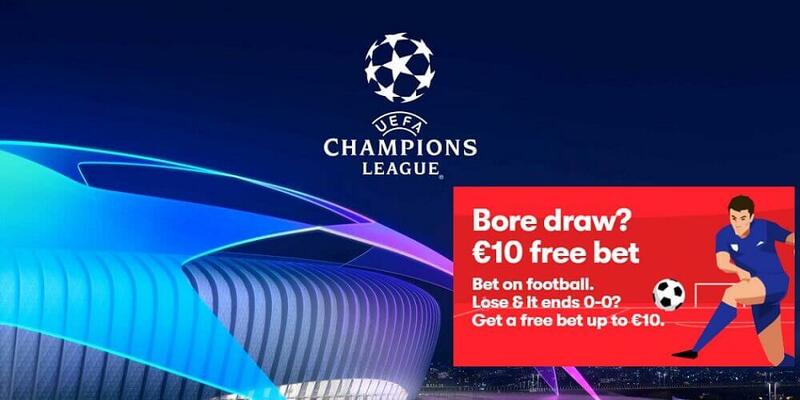 Place a €10 bet on a betting market of your choice. 4. The free bet welcome offer is up to 300% deposit match. 2. Deposit £10 or more into your Betway account. 3. The 100% free bet will be automatically credited after your deposit. 4. To activate the free bet you have to place bets totalling the value of your first deposit.